A conference brought to you by the Iranian Heritage Foundation at Asia House, 63 New Cavendish Street, London W1G 7LP. The main focus of this conference is to look at the evolution of 20th century architecture in Iran, concentrating on the transition from traditional to postmodern architecture. On the whole, there has been limited research on the evolutionary aspects of the 20th century post-Qajar architecture of Iran. 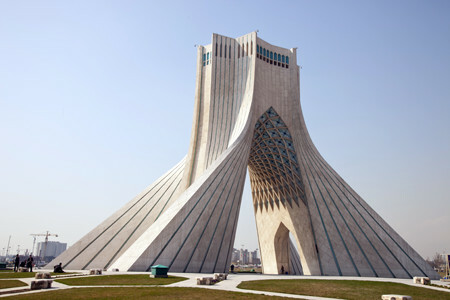 The essential difference between the development of modern architecture in Europe and Iran is that in Europe architecture was evolutionary encompassing several centuries and accompanied by new technologies, whereas in Iran it leaped from traditional to modern in less than a century. The purpose of the conference is to discuss and evaluate the overall shortcomings and successes of modern architecture in Iran, as well as recognise the achievements of Iranian architects and the works they have created. For further details please visit the Iran Heritage Foundation’s website here.